Raja Garden is one-time-favourites of Kings of Kodagu who use to watch the setting sun, and spend time with their queens here. The structure is small square in brick and mortar of four pillars bridged by arches, enhanced by beautiful surroundings. 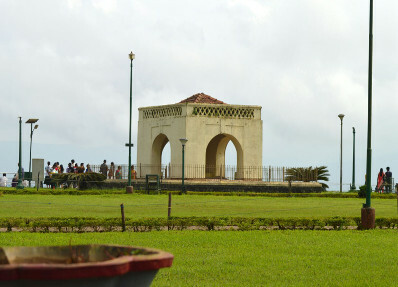 This lovely spot was a favourite place of recreation for the Rajas and hence was permanently associated with them. It is built on a high level ground with a commanding view of the cliffs and valleys to the west. Early in the morning as the sun is just rising in the east, the mist shrouded valley below offers a rare sight. The golden light of the setting sun is a splendor to watch. There is also an attraction of the Toy Train for children. 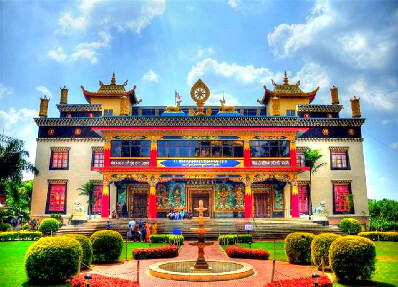 A recently built “Namdrolling Monastry”, a famous Tibetan Golden Temple, is a feast to the eyes in Bylukuppe. The Golden Temple adorned with a 60 ft Buddha statue and the recent addition of Zamdong Palri the copper coloured mountain is an exotic tourist attraction. Fascinating shopping marts selling ethnic Tibetan artefacts and modern fashion wares is a place to be visited. It is also the second largest Tibetan settlement in India. 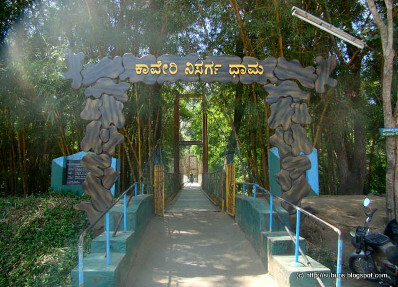 This is a shrine of Bhagandeshwara . The name is derived from Bhaganda Maharshi who installed a Shivalinga here. 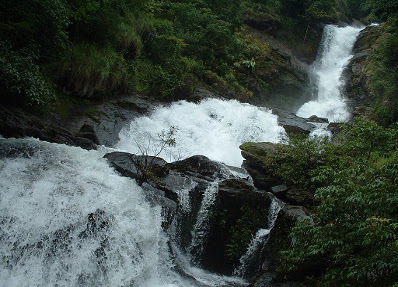 It is also the “Thriveni Sangama” of the sacred rivers of Coorg Cauvery, Kannike and Sujyothi, a sub-terrain stream. 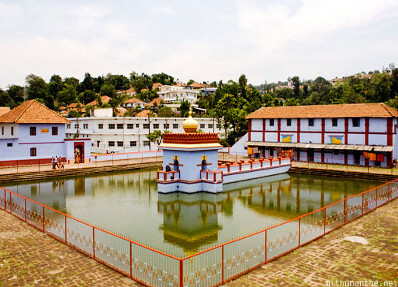 It has an important piligrimage centre called Bhagandeshwarea Kshethra, where piligrims take bath, offer oblations to their departed ancestors, then ascend the hills for a holy bath at Talacauvery. The worshipping deity of Kodagu, River Cauvery takes her origin as a spring in Talacauvery situated on the slopes of Brahmagiri Hills. 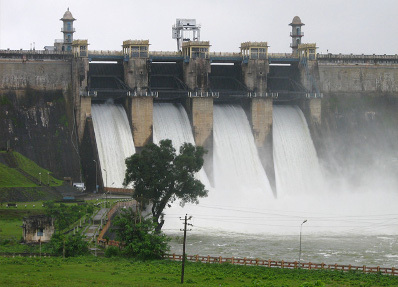 On the auspicious day of “Tula Sankramana” which generally falls in October 17th every year, the holy Cauvery appears by sudden upsurge of water in the Kundike – The Pond. It is an ideal place for a visit by any tourist for its natural beauty. Lakhs of people throng every year for a ‘holy dip’. Located at a distance of 9km from the town of Madikeri, the Abbey falls produces a spectacular sight of cascading water. Nestled amidst private coffee plantations, the Abbey Falls provide a striking contrast to the sylvan surroundings of Coorg. A narrow road winding through the green and dense foliage of surrounding coffee plantations leads to Abbey Falls. The river Lakshmana Theertha runs down 60 feet from a hill to form this waterfall. 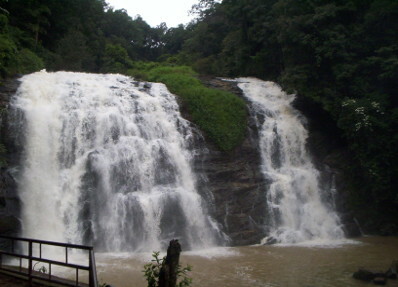 This waterfall is situated in Kurchi village of South Coorg. There is also a shiva temple dedicated by Lord Sri Rama on the banks of this river where pilgrims congregate on “Mahashivarathri”. The natural beauty is a treat to the eyes. 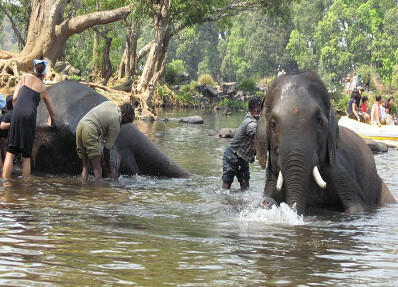 A beautiful, picturesque picnic spot, where the river Cauvery splits forming an island with a bamboo forest of 65 acres. There is a hanging bridge, Deer Park, Boating, Tree House, Elephant safari are worth going to. Ecofriendly cottages are available here. 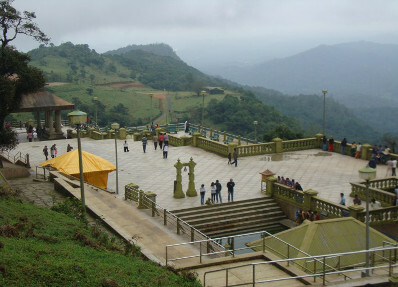 It is at a distance of 27 kms from Madikeri. The only reservoir in Kodagu built across the tributary of Cauvery with a height of 47 mtrs and 846 mtrs wide. It is a real picnic spot where you can admire the gushing backwaters and natural beauty. 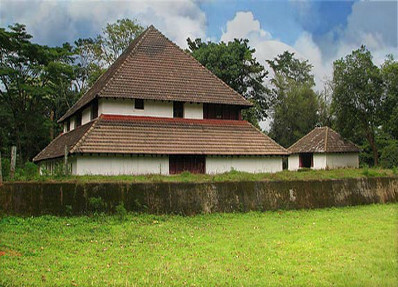 A two-storeyed Palace built by King Dodda Veera Rajendra in 1792 at the feet of the highest peak of Kodagu “The Thadiyandamol”. This peak is an irresistible challenge to trekkers. Paadi Igguthappa temple is a deviation from Kakkabe on the way to this palace. 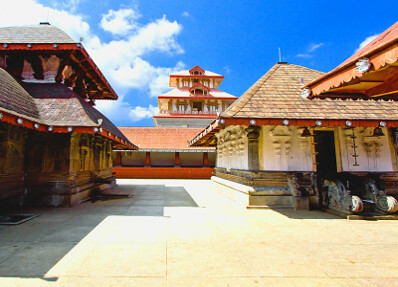 This temple was built by King Lingarajendra during 1810. To visit "Paadi Igguthappa" temple one needs to take a deviation on the way to Nalknad Palace from Kakkabe village. It is the fort crowning the town built in 1681, with an imposing structure built in European style. Inside is an English church in plain gothic style. 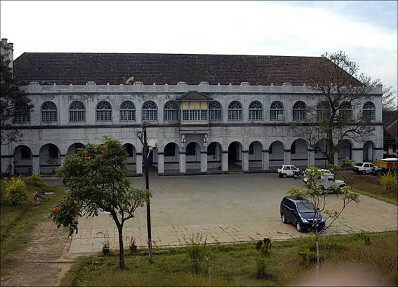 The palace within the fort was rebuilt by Tippu Sultan in 1790 and again Lingaraja during 1820. The palace of the Lingayat rulers is located inside the fort walls.Two life size elephants, made of mortar, catches one’s eye on entering. It presently houses few government offices, a public library and a museum of historical relics which is not to be missed. 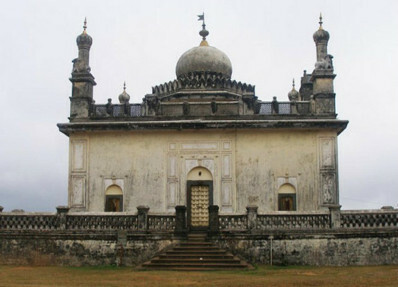 The tombs of Raja’s dynasty with high Domes, built in Islamic style and minarets with gold coating built in Indo Sarsenic style. The memorable grave is a tribute to the King Virarajendra and his wife Mahadevi Amma. The two other graves are of Lingarajendra and Rudrappa, Gurus to Virarajendra. The Rajiv Gandhi National Park was constituted in 1955. It extends over 650 Sq.Mtrs and is a well-maintained sanctuary. A large quantity of teak wood, rose wood and sandal wood is extensively grown here. 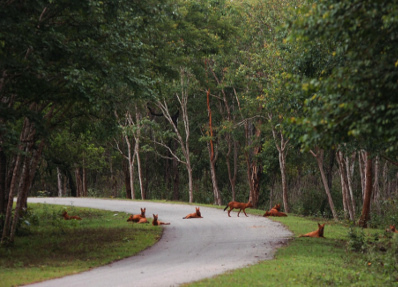 It povides an excellent opportunity to watch wild animals like elephants, tigers, deer, bison, and peacocks in the vehicle safari.